This is a little LotusScript experiment with a plain text file and a LotusScript agent using NotesStream. 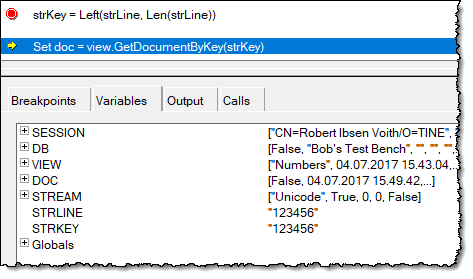 After reading the text from the file I try to use the string to locate a document with a corresponding key in a NotesView. While everything looks fine in the debugger, something is not correct and the lookups fail. This article has some suggestions for solutions at the end but they are not state-of-the-art! Perhaps you know other ways? Then I have a super-simple LotusScript agent reading this text file, and trying to locate a Notes document with the same number from a NotesView. 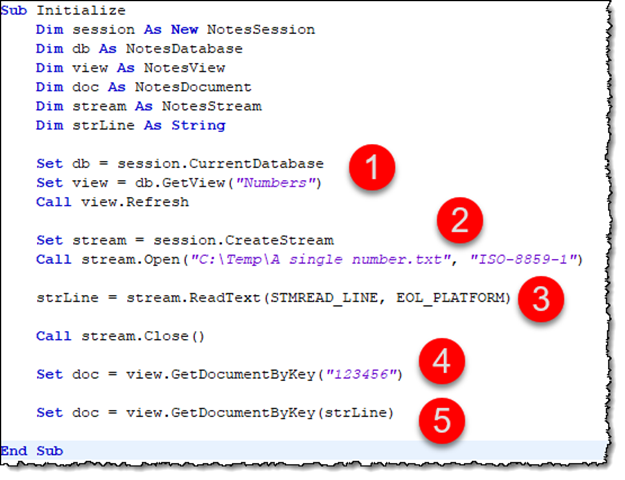 The code uses a NotesView (1) and a NotesStream (2) to open the file and read out the contents with the ReadText-method (3). Finally the code tries to locate the document in the NotesView first by a hardcoded key (4), and then by the value retrieved via NotesStream (5). In a moment you will see how the first works and the second not. 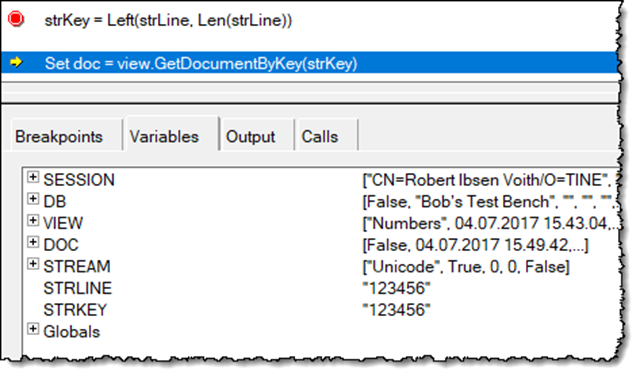 As you see from the variable panel, the NotesDocument “doc” hasn’t got any value at all yet (2), and you see that the strLine-variable has the value “123456” – or so it seems …. …but wait! A closer look at the strLine in the variables pane (3) shows that strLine doesn’t have a closing apostrophe! Something is different here and the result from the NotesStream’s ReadText is obviously containing something more other than just the text. What on earth is going on here? Obviously it it something with the characterset or NotesStream-way of handling things. This also works and the strLine now contain a valid string without something-at-the-end!! But, there must be another way?! Some parameter to set on the NotesStream-object? PS! 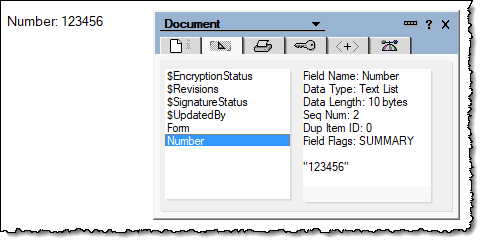 I have also tried to use different character sets when opening the file such as UTF-8 and US-ACIII. 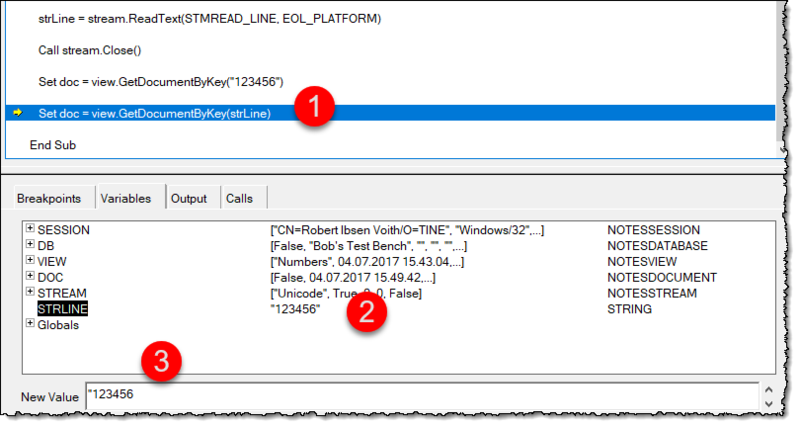 Additionally I have tried to use other line-end flags in ReadText such as EOL_CR and EOL_CRLF. Same results unfortunately. I also found this post, but that didn’t work for me. 1 - I strongly suspect it has to do with the encoding of the file. 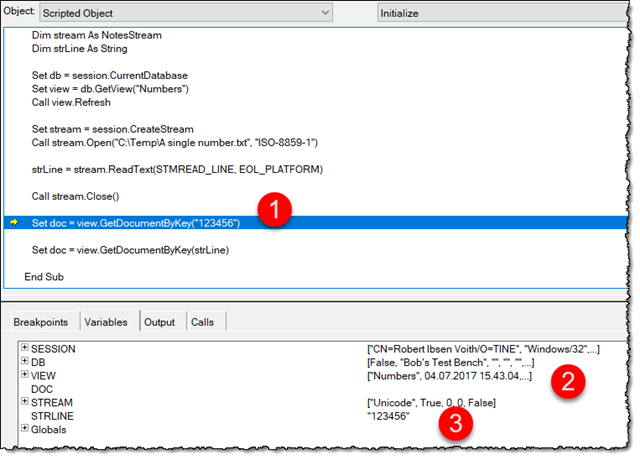 I had problems with using NotesStream on the iSeries, where NotesStream.Open with a charset specified will NOT set the correct CCSID on the created file in the IFS which later leads to problems. SPR CPAPABUR4M and APAR LO89645 where created from the PMR. I suggest you open a PMR with IBM referencing SPR CPAPABUR4M and APAR LO89645 so your problem adds weight to the problem and the chance of getting a fix increases. 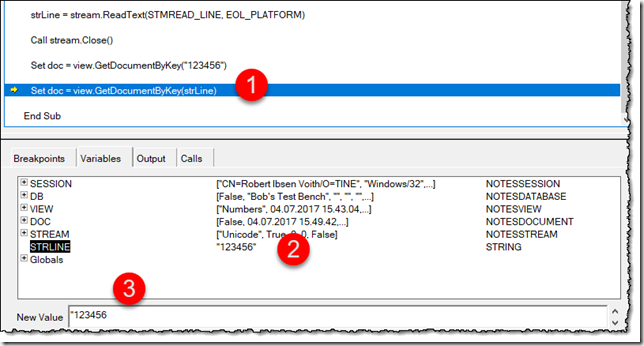 My problem was that on IBM i, the NotesStream.Open call with charset "Windows-1252" and then writing text to it created a file in IFS which contained text in the Windows-1252 character set, but was marked with CCSID 37 (EBCDIC-US) instead of CCSID 1252 (Windows-1252). If you then use software to process this file which uses the CCSID property, like native iSeries programs or FTP, the conversion renders the contents into garbage. FTP can be worked around by using the BIN command to disable character set conversion. 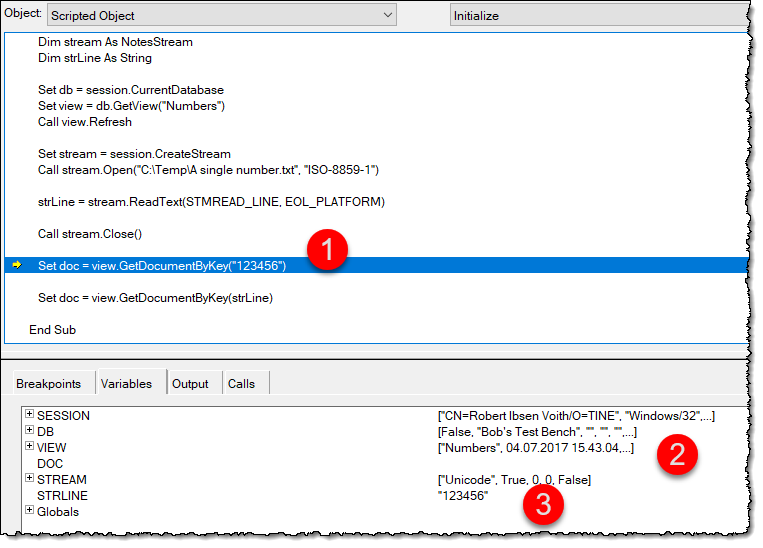 Native programs can be made to work by setting the charset in the NotesStream.Open call the same as the IFS default. Another workaround is using the Open statement from LS instead of the NotesStream.Open call. The Open statement WILL honor the charset parameter. Note that determining the CCSID of a file can be done by using System i Navigator to browse the Integrated File System, browse to the problem file, and looking at the Storage tab of the File Properties to see which CCSID is set on the file. hope can use this info! I wonder if the NotesStream is getting a line break and trying to use that in the key? 3 - @Lars, thanks for your answer! The file is a plain Windows file with no encoding at all. Looking at the file in a hex editor, reveal the following hex-sequence; 31 32 33 34 35 36 0D 0A. In other words, the ASCII values of 123456 with a CRLF at the end. My text-file wrapper class on iSeries actually open the file as binary in order to bypass any CCSID-related problems. For some reason this doesn't work *in the same way* on Windows. I guess I could use standard LS-Open and force binary on that too to achieve the same result.